A record 135,431 default notices were sent to California homeowners during the first quarter of the year, up 80 percent from the fourth quarter and 19 percent from the same period a year ago, according to DataQuick. The company attributed the sharp rise in delinquencies to the ongoing recession along with the delay caused by legislation aimed at stalling foreclosure activity. “The nastiest batch of California home loans appears to have been made in mid to late 2006 and the foreclosure process is working its way through those,” said John Walsh, DataQuick president, in a release. 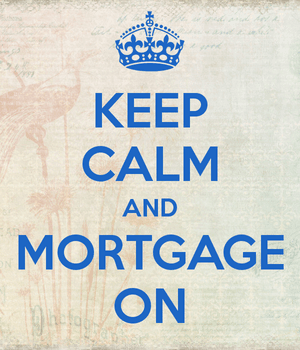 Aint that the truth…throw in falling home prices and you’ve got a mortgage crisis on your hands, a big one at that. The median origination month for last quarter’s defaulted loans was July 2006, just four months later than the median origination month for defaulted loans a year earlier, suggesting it was a period of particularly poor underwriting. The mortgage lenders with the highest default rates were ResMAE Mortgage (69.9 percent default rate), Master Financial (64.6 percent), and Ownit Mortgage Solutions (63.6 percent). Of the top lenders, Indymac fared worst with a default rate of 18.9 percent, followed by World Savings at 8 percent and Countrywide at 7.7 percent. For first mortgages, California homeowners were a median five months behind on mortgage payments when a notice of default was filed, owing a median $12,926 on a median $346,400 mortgage. For home equity loans and lines of credit, borrowers owed a median $4,229 on a median $63,600 credit line. 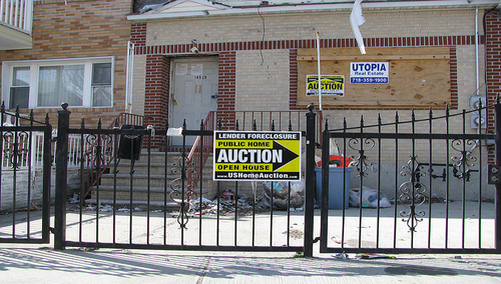 A total of 43,620 homes were actually lost to foreclosure during the first quarter, down 5.5 percent from 46,183 in the prior quarter and 7.6 percent from 47,221 during the first quarter of 2008, thanks in part to various moratoria. Mortgages were most likely to go into default in Riverside, Merced and San Joaquin counties, and least likely in the counties of Marin, San Francisco, and San Mateo. Foreclosure resales accounted for 58.1 percent of all California resale activity last quarter, up from 33.1 percent a year ago.